Zealong Tea Estate recently won double “gold” in two categories and achieved top honours in a third at the 2017 Global Tea Championship Fall in Colorado, USA. 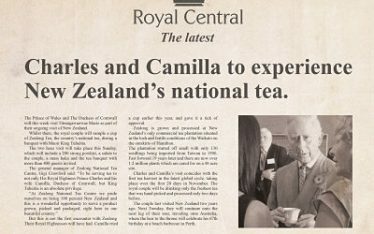 “This is a significant award for Zealong as it once again proves that New Zealand tea can hold its own amid fierce competition and on any global platform,” said Zealong General Manager Gigi Crawford. 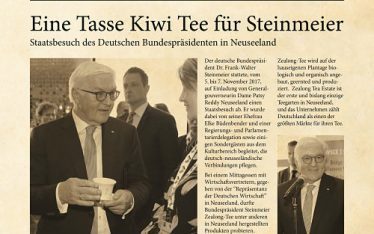 Mayor Allan Sanson of the local Waikato District Council joined Zealong in celebrating their recent triumph when the Estate’s Black tea bags and Oolong tea bags received “gold” first-place honours in their respective categories and the Green tea bags achieved top honours by coming second in its category. 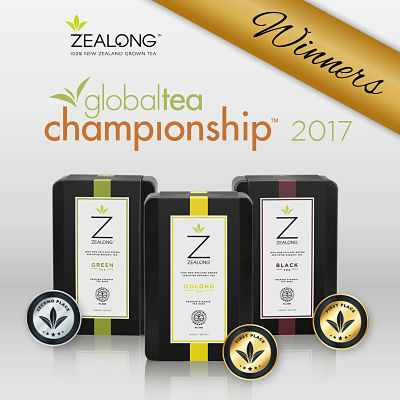 “We are indeed proud that all three of Zealong’s teas were placed highest in their categories in a global competition which saw 245 entries from 16 different countries. 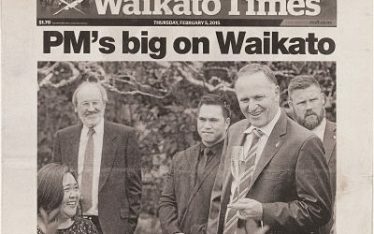 This is a noteworthy triumph for the Waikato District community and for wider New Zealand,” Mayor Allan said. Read more from NZ Herald.